Embattled sacked Director General of the Department of State Services (DSS), Mallam Lawal Musa Daura, is said to have allegedly stashed a whopping sum of N21 billion in his Abuja home. A source privy to the matter alleged that no fewer than 400 assault rifles, including other small arms weapons and thousands of PVCs belonging to Niger Republic immigrants, were also found in the house. The Sacked DSS DG is alleged to be engaged in dealings involving $21 million handed over to him by his predecessor, Mr. Ita Ekpenyong. 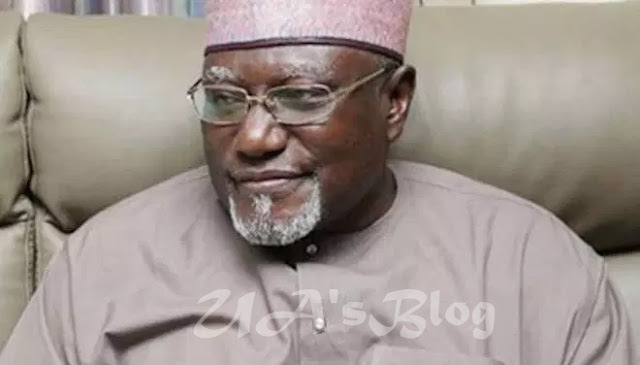 “Daura is also facing interrogation over alleged withdrawal of N12.9 billion from Pension Account of the DSS. He was further alleged to have withdrawn the sum of N1.6 billion from the N2.4 billion account belonging to the DSS Staff Insurance account by a relation of Daura,” the source noted. All efforts to confirm the story from top sources proved abortive, as no one was willing to volunteer information on the startling discovery at the home of the former DSS boss. Ekpenyong was interrogated by the Economic and Financial Crimes Commission (EFCC) headquarters on Thursday in Abuja over how he managed funds approved by former National Security Adviser, Col Sambo Dasuki ahead of the 2015 polls.